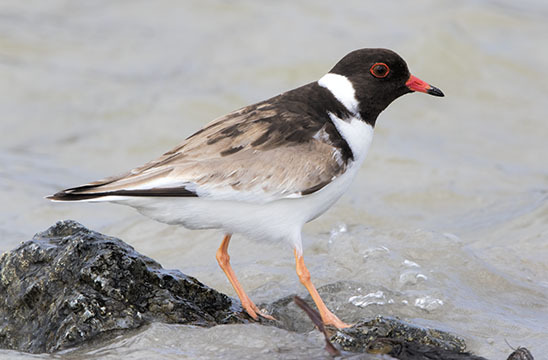 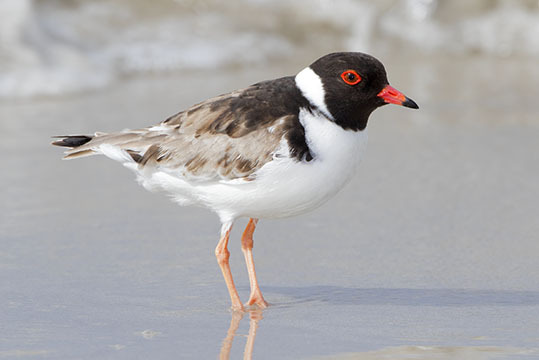 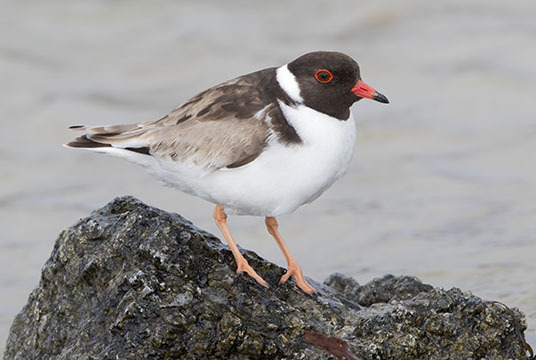 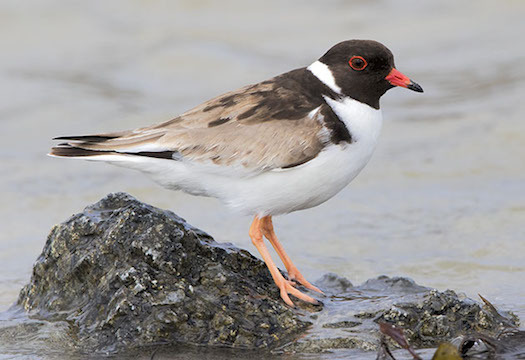 Hooded plovers (or dotterels) are smallish beach-dwelling plovers from the southern coast of Australia. 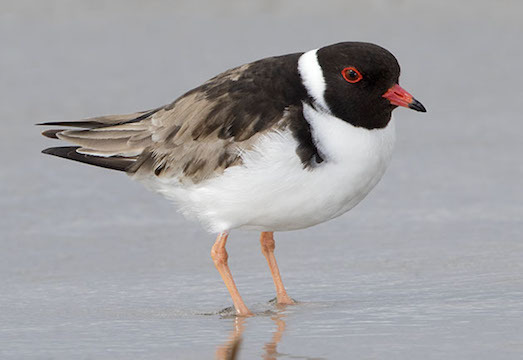 Their black hoods are a little unusual for plovers. 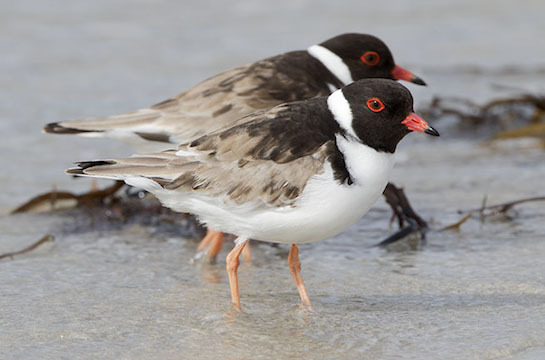 These were photographed at Peaceful Bay near Albany, Western Australia> It was anything but peaceful at the time, with strong winds, heavy surf, and occasional rain (everyone in these images is facing right because that's where the wind was coming from).